What Are Your Rights if You Are Permanently Disabled in a Workplace Injury? You may already know that workers’ compensation can cover your medical expenses and some of your lost wages while you’re recovering from a covered workplace injury. But what happens if you become permanently disabled? 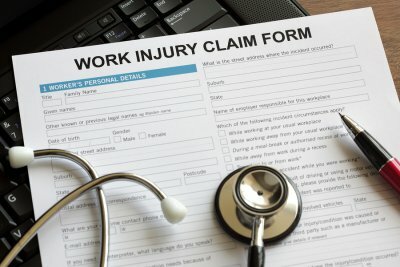 Because every worker’s situation is unique, it’s best that you consult a workers’ compensation lawyer in Baltimore. Your attorney can review your case, discuss your legal rights and options, and answer any questions you may still have. If you haven’t yet filed a workers’ comp claim, you can meet with an attorney to learn whether your injury is likely to be covered by workers’ comp insurance. If you’ve already filed a claim and it was denied, you should seek legal counsel promptly to discuss filing an appeal. Like other types of workplace injuries, a permanent disability can only be covered by workers’ comp if the injury was sustained during the course of the job. It may have occurred at the jobsite or elsewhere. For example, if you were driving a company truck and were involved in an accident, a permanent injury arising from that accident should be covered. Workers’ compensation is a no-fault system. This means that as long as you did not intentionally injure yourself, the injury should be covered regardless of whether you made a mistake that caused the accident. However, your permanent disability may not be covered if it can be proven that you were drinking or using drugs at the time of the accident. In a few cases, a worker’s injury may be quickly categorized as being a permanent injury. For example, an incurable spinal cord injury can cause irreversible paralysis. In most cases, workers are not eligible for permanent disability benefits right away. They may still receive workers’ comp benefits during their recovery period. However, a worker isn’t considered to have a permanent disability until he or she has reached maximal medical improvement (MMI). MMI occurs when a physician determines that a patient is unlikely to improve further. At this point, if you still have lasting impairments, you may be eligible for permanent disability benefits. Can You Sue Your Employer Over a Workplace Injury? In most cases, workers’ compensation law in Baltimore prevents employees from suing their employers because of a workplace injury. Workers’ compensation is designed to provide a no-fault way for employees to receive medical treatment and a percentage of their lost wages. 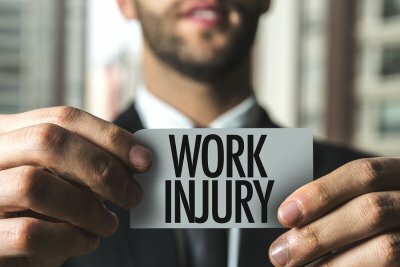 However, workers’ compensation benefits do not extend to all workplace injuries and in some cases, it may be possible to have a workers’ comp lawyer file a lawsuit against the employer . For example, an injured worker may sue the employer if the employer was legally required to carry workers’ comp insurance and failed to do so. Depending on the circumstances, it may be possible to bring a lawsuit against an employer who allegedly engaged in intentional or egregious conduct that resulted in the workplace injury. In other cases, a lawsuit may be filed against a third party. For example, a workplace injury might be caused by an outside vendor. If the injury is caused by a defective product, the product’s manufacturer might be named as a defendant in a product liability lawsuit. The possibility of a car accident is one of the most common fears that parents of teens have when their kids begin learning how to drive. Watch this video to get some tips on how to keep your teen safe from car accident injuries and from the possibility of being named as the defendant in an accident injury lawsuit filed in Baltimore. This interview with a car accident expert explains that studies show that parents generally do well when teaching their teens how to accelerate, park, and otherwise maneuver the car. However, parents also need to teach teens how to scan the road for potential hazards, judge the distance and speed of oncoming traffic, and drive in adverse conditions like bad weather and traffic jams.